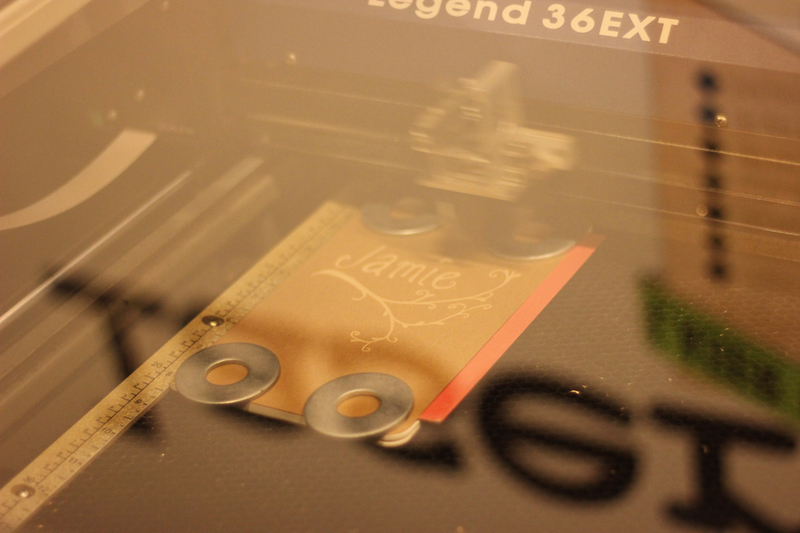 I attended another laser etching workshop put on by Women.Design.Build and MAKEatx. 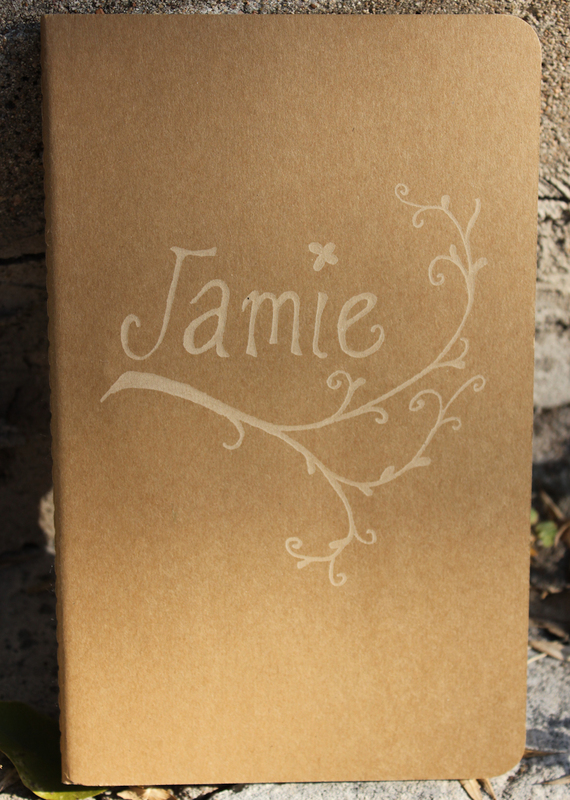 In a previous workshop we etched pint glasses and in this workshop we etched cardboard covered moleskin notebooks. 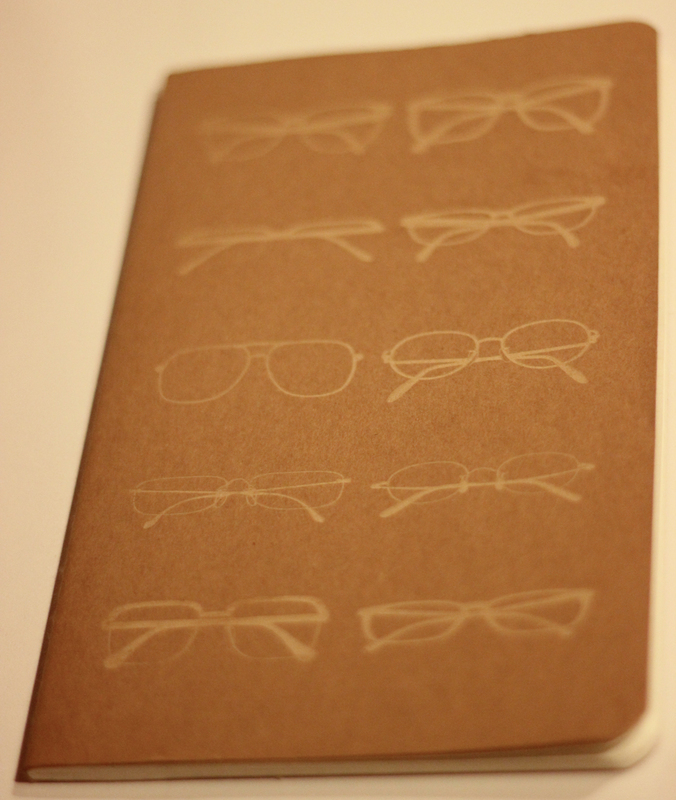 Because I already have a number of notebooks for notes and drawing, I decided to etch a notebook for my sister. In preparation for the class, I drew a design using her name and scanned it into a jpg file that could be converted to black and white and loaded into the software that controls the laser. 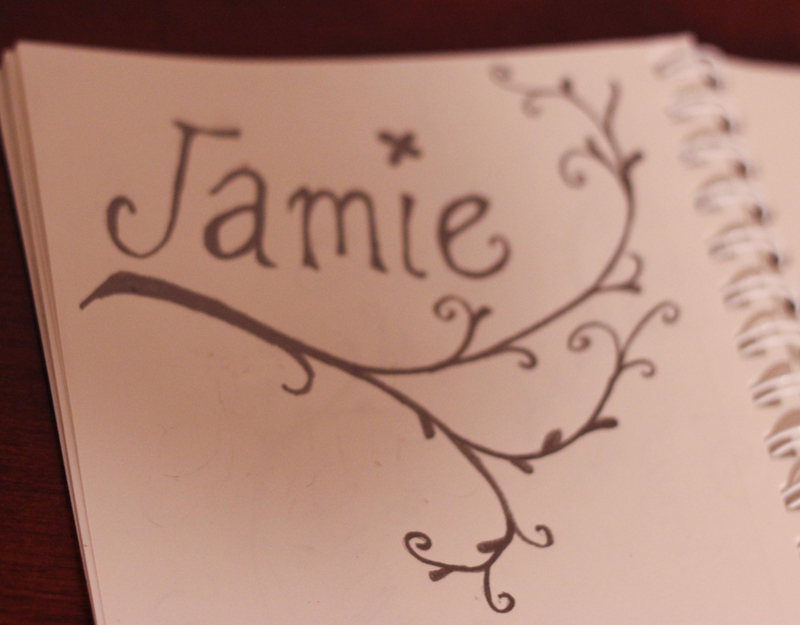 Hand drawn design for the notebook cover. 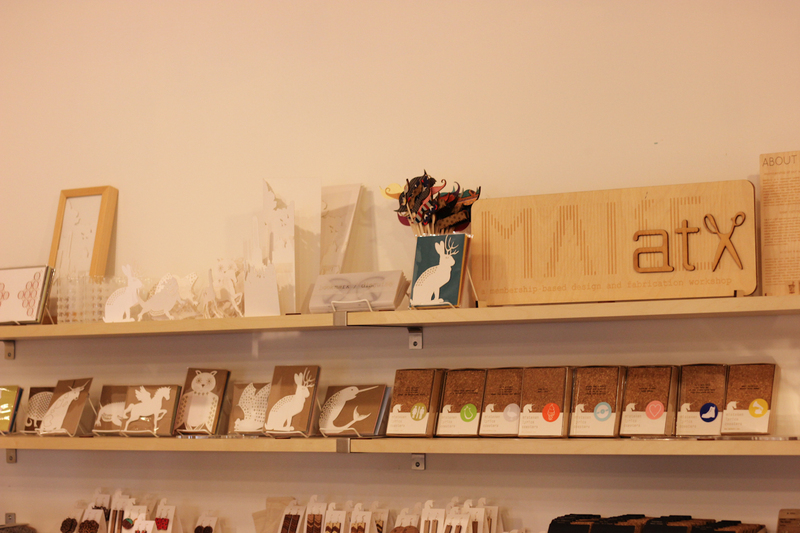 A shelf full of laser-etched goodness at MAKEatx. 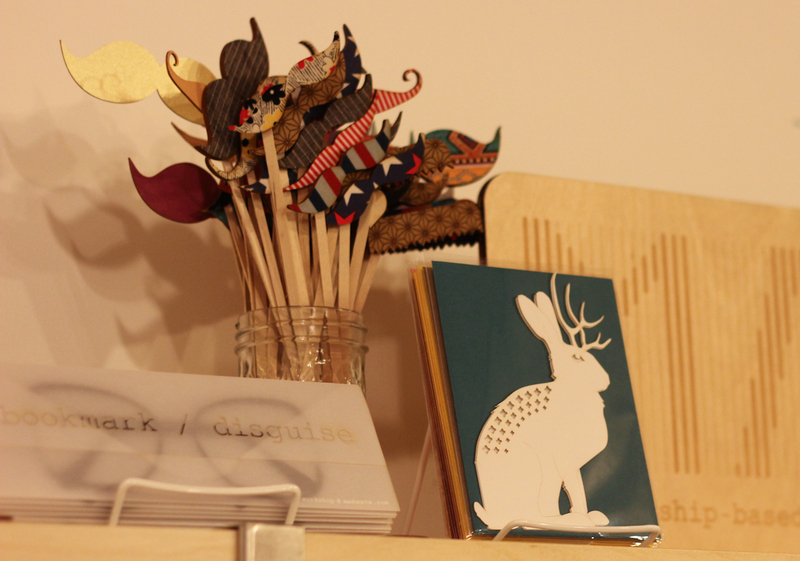 Love the mustaches on sticks and the jackalope. 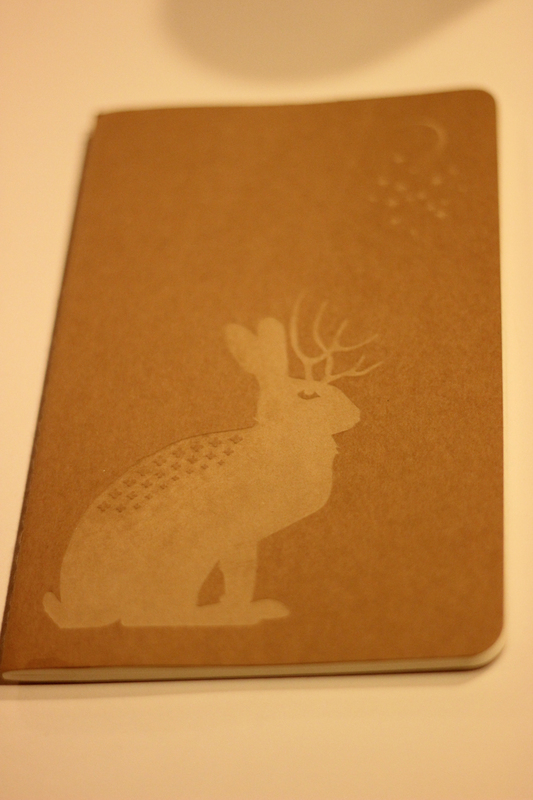 A jackalope etched notebook made before the workshop. 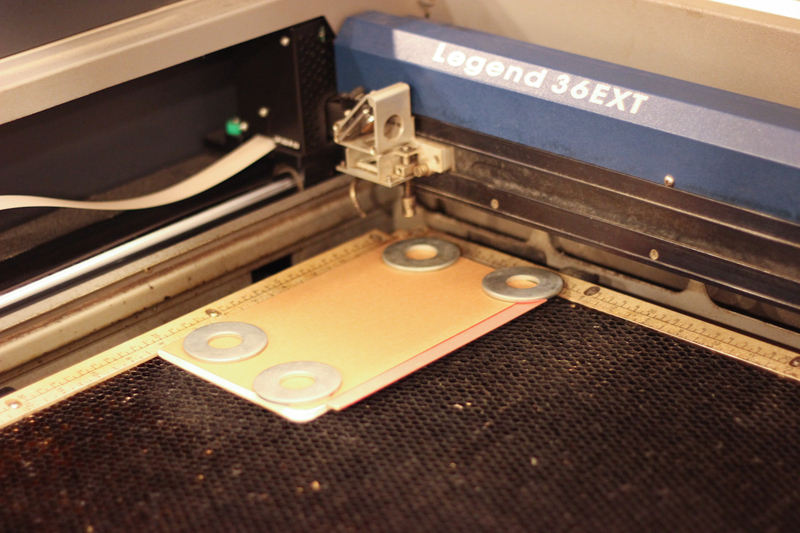 The notebooks were placed in the laser and the cover weighted with large washers since the cover is a bit lightweight. The laser doing its thing. An awesome idea for a notebook cover made by one of my friends at the workshop. 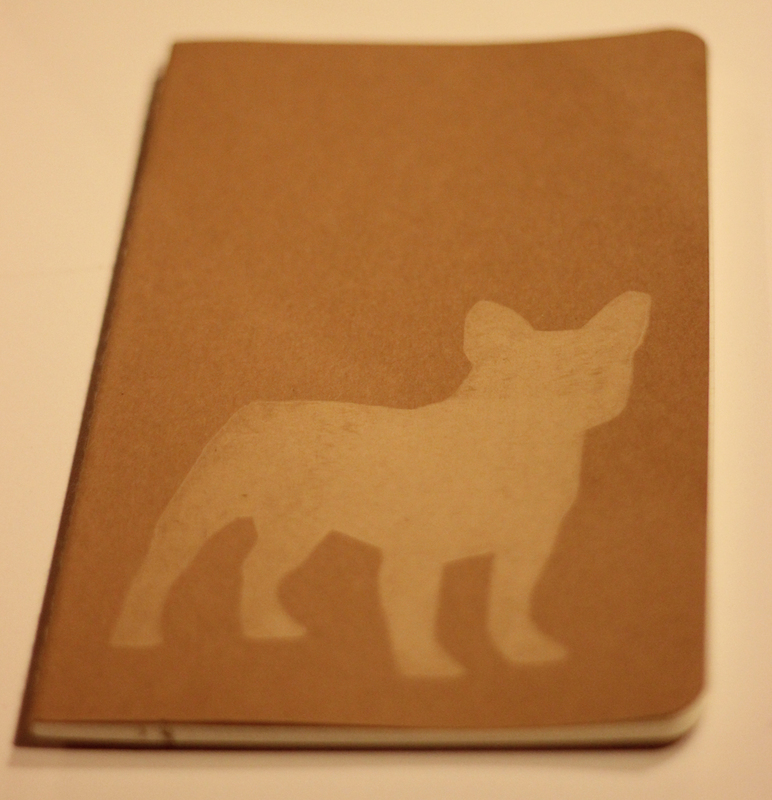 A french bulldog cover, made by another friend. My notebook, ready to send to my sister.